Your office equipment, machines and furniture need to be rearranged systematicly, so it leads to availing of maximum benefit from the available space. Basing on the principle of division of labor, the office layout ensures full utilization of office space and the efficiency of operation is high. If the principle of division of labor is applied, every duty of an office can be divided into many parts. 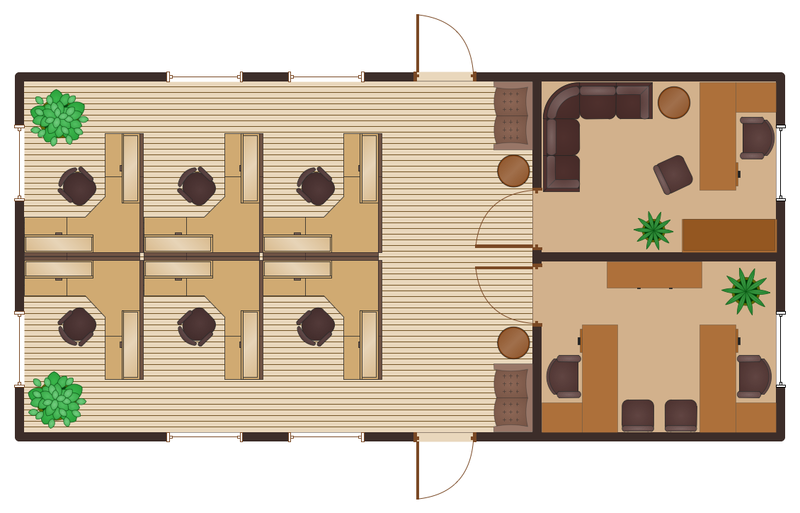 All the parts may not be possible to accommodate in one room or even on the same floor. The main purpose of an office environment is to support its occupants in performing their job — preferably at minimum cost and to maximum satisfaction. To aid decision-making in workplace and office design, one can distinguish three different types of office spaces: work spaces, meeting spaces and support spaces. 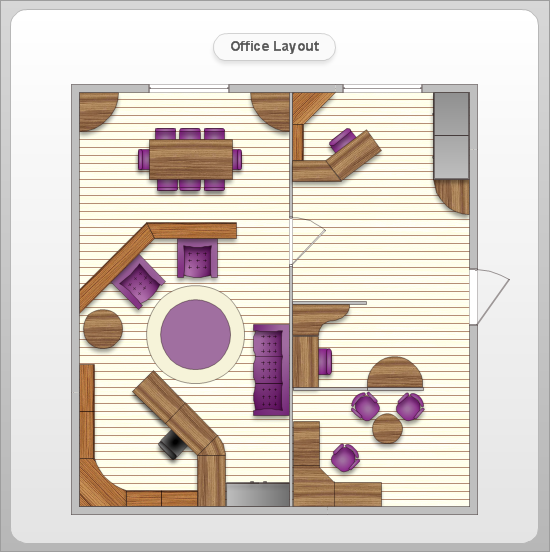 You can use many of built-in templates and examples of our Office Layout Software. Start with the exact template from ConceptDraw STORE you need then customize to fit your needs with more than 10000 stencils and you will find expected result in minutes. 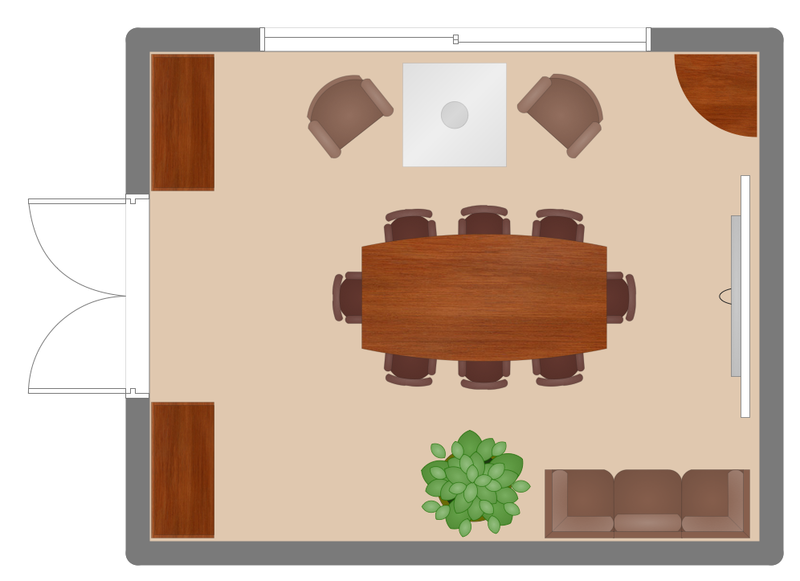 Use Office Layout Plan Symbols from the libraries of Office Layout Plans Solution from the Building Plans Area to develop floor plans and blueprints for facilities management, move management, office supply inventories, assets inventories, and office space planning. 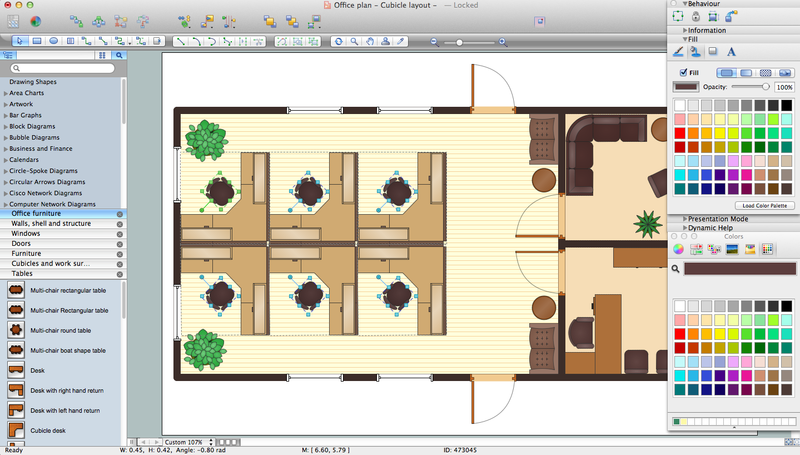 The sample below was created using the extensive drawing tools of ConceptDraw DIAGRAM diagramming software enhanced with Office Layout Plans solution from ConceptDraw Solution Park.